Jet black based lentils, with dots of orange and yellow glass. 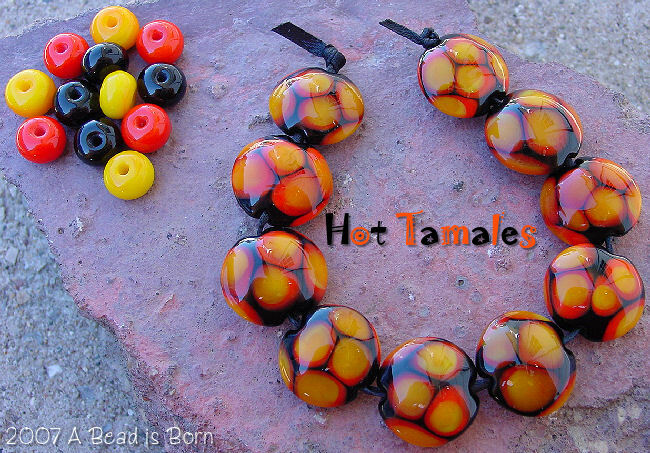 They reminded me of firey hot tamales! This is a set where the pictures just dont do them justice, they'll make your jaw drop when you see them in person! Lentils measure about 17mm X 17mm, and the matching orange, yellow and black round spacers measure about 8mmX10mm.